Sarasota Massage - Mending Hands - Melissa Finley - SRQ 34239: Don't Call It Pampering: Massage Wants to Be Medicine. The research is being driven, in part, by massage therapy's popularity. About 8.3% of American adults used massage in 2007, up from 5% in 2002, according to a National Health Statistics report that surveyed 23,393 adults in 2007 and 31,044 adults in 2002, the latest such data available. Massage was expected to be a $10 billion to $11 billion industry in 2011 in the U.S., according to estimates by the American Massage Therapy Association, a nonprofit professional organization. "There is emerging evidence that [massage] can make contributions in treating things like pain, where conventional medicine doesn't have all the answers," said Jack Killen, NCCAM's deputy director. 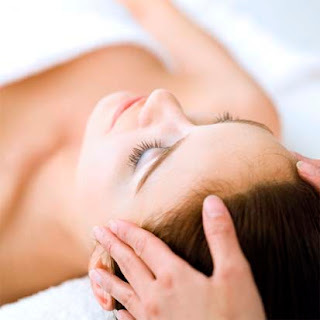 Elsewhere, private insurers generally provide very limited coverage for massage. WellPoint, WLP +0.99% for example, doesn't include massage as a standard benefit in most of its plans, but employers can purchase alternative medicine coverage as an add on, said spokeswoman Kristin E. Binns. Aetna AET +0.88% doesn't cover massage therapy as a standard benefit but offers members discounts on massage visits with practitioners who are part of an affiliated network of alternative medicine providers. Providers such as chiropractors or physical therapists, whose visits are often covered, sometimes use massage as part of their treatment. Another common type of massage, so-called deep tissue, tends to be more targeted to problem muscles and includes techniques such as acupressure, trigger-point work (which focuses on little knots of muscle) and "deep transverse friction" where the therapist moves back and forth over muscle fibers to break up scar tissue.